We've all heard the phrase "jack of all trades, master of none," and there's a distinctly negative connotation to it. The more something tries to do, the worse it is at any one task. Unfortunately, it still holds true today. But some products, like this one, are starting to toe the line. 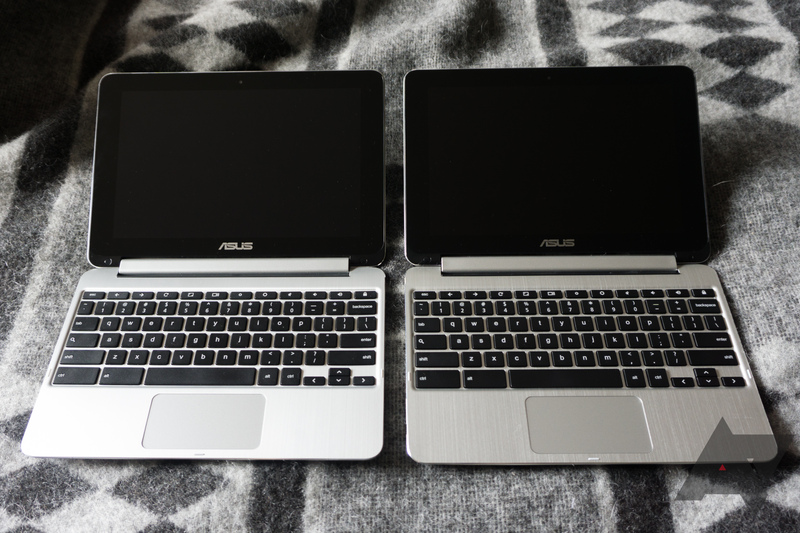 ASUS' latest Chromebook Flip C101PA combines performance with excellent build quality in a convertible package. So not only do you get a great Chromebook, to a certain degree, you also get a good Android tablet. And it will only cost you $299 — and a somewhat disappointing screen. The updated C101 was originally teased back in May at Computex, but ASUS kept radio silence on the subject until just last month, when it announced that this latest revision of the 10" Chromebook Flip would be available for pre-order. 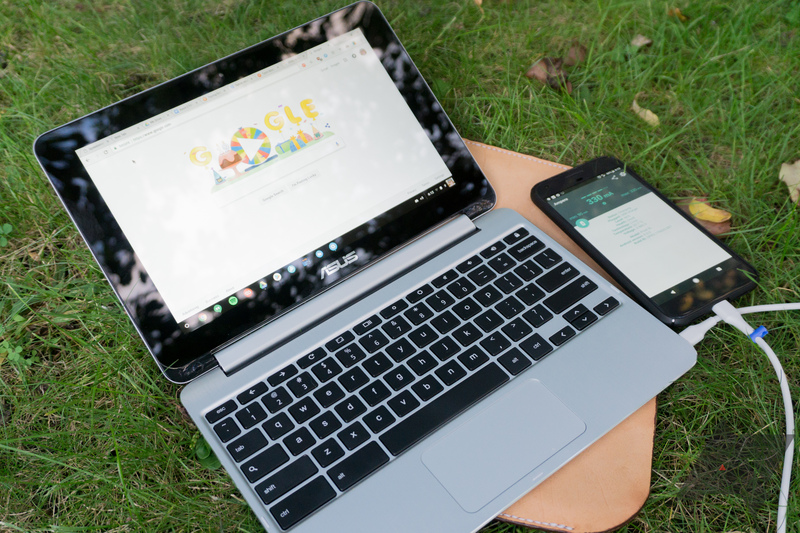 On the surface, the new Chromebook looked much the same as the one it was replacing, however it has a couple small but significant improvements. Although the C101 isn't without its problems, the new machine is better than the already great model it replaces. 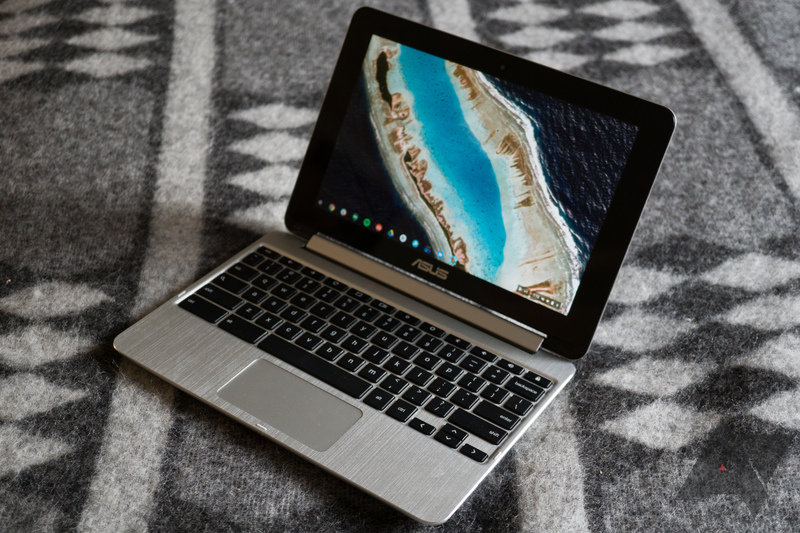 In short, the ASUS Chromebook Flip C101PA is probably the best 10" Chromebook you can buy right now. 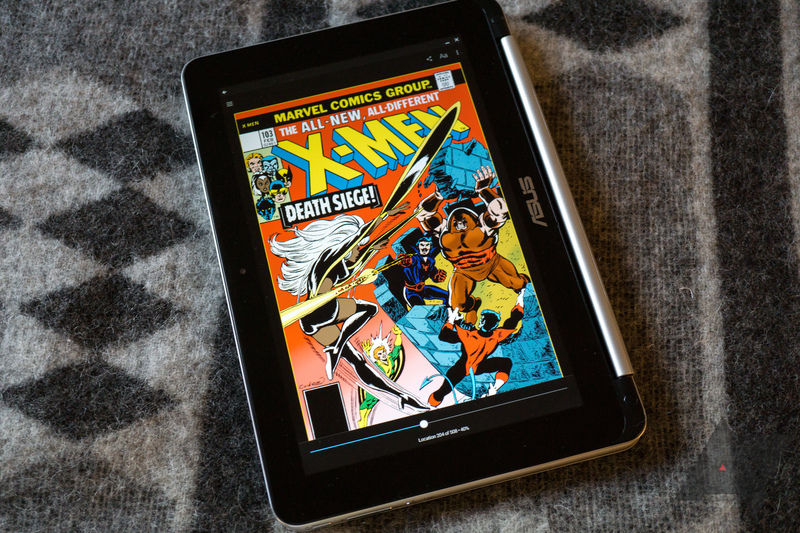 And, with Android apps, it's even a pretty decent tablet. Battery 38Wh, advertised "up to 9 hours"
Dimensions 10.4" x 7.2" x 0.6"
Performance It isn't quite as fast as an Intel Core or M series, but the OP1 Rockchip SoC is a great performer. Ports Two USB-C ports that can charge the device plus microSD and a full-size USB-A port. Build quality Mostly aluminum and glass. Price $299 is a decent deal for this. 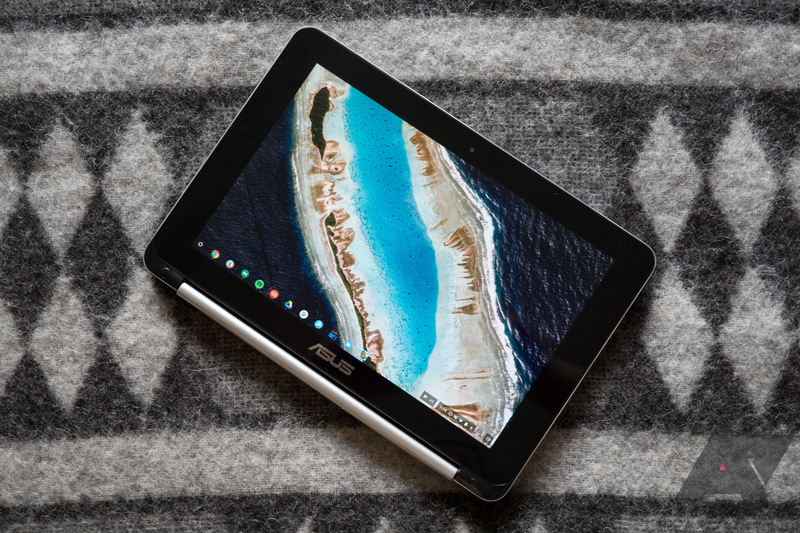 OS Chrome OS is nice, and Android apps are great to have. Display 1280x800 just doesn't cut it in 2017. Keyboard Key travel is actually great, but it's cramped and not near the "97% full-size" advertised. Touchpad It's a bit small, but usable. Overall, the C101 looks mostly unchanged from the C100. In fact, the only significant physical change is the loss of the power socket on the left, and the addition of two USB-C ports on the right, which the device uses to charge. That's it when it comes to external design differences between models. So if you've seen a C100, you've pretty much seen the new C101. 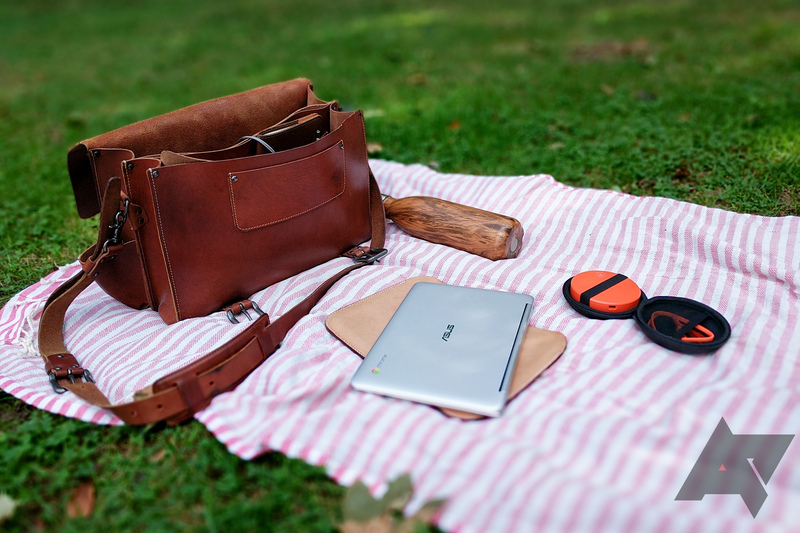 The C101 is a convertible Chromebook, so it's able to assume both a laptop and tablet form-factor. There are also a few useful ways to use it in between those two extremes. Placing it keyboard-down with the display tilted to face you is nice on flights, and there's a "tent" mode where it rests on the front edge of both deck and screen, angled to face you. I haven't really found a use for the latter, but I'm sure it can come in handy. 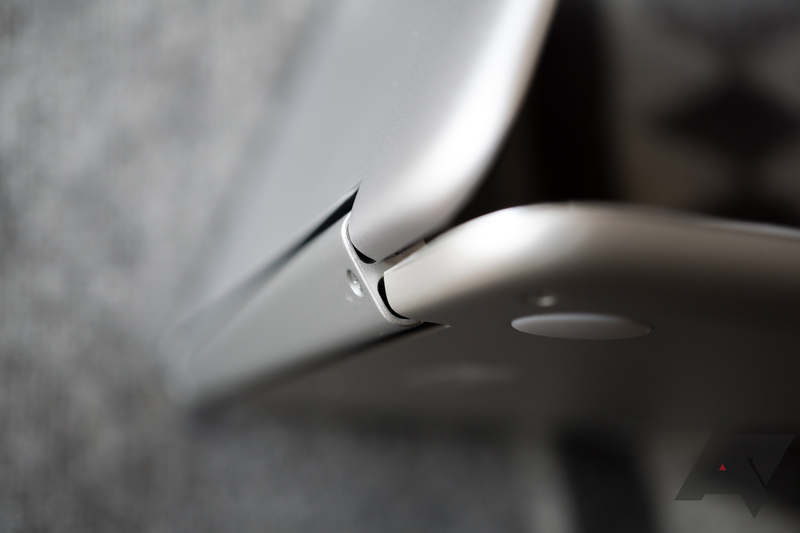 The display and body are joined by a swiveling plastic hinge, which is actually two sets of hinges. It is the only big plastic part on the Chromebook, outside the touchpad. It is also probably where the device's various antennas live. It's a minor thing to note, but the texture of the aluminum body on the C101 is much nicer than it was on the C100. The bead-blasted aluminum on the c101 is more gritty and rough than that found on the C100. I found the new finish much more pleasant to the touch. 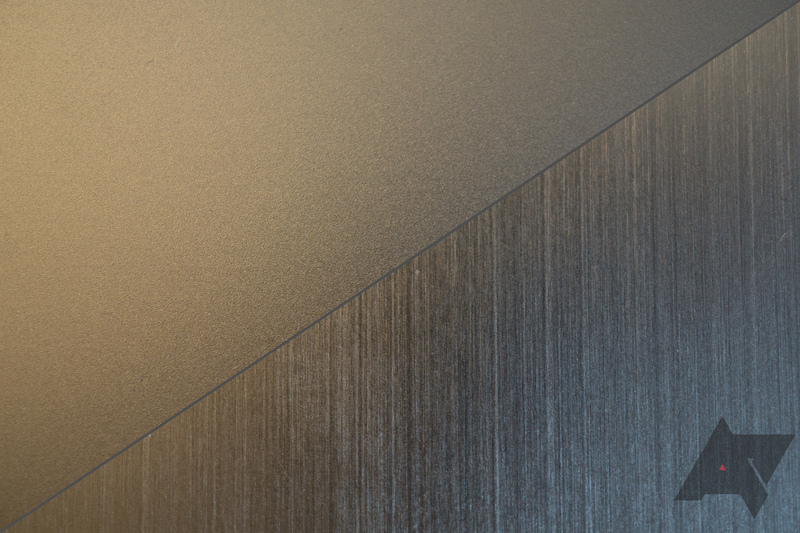 The aluminum deck still has the same brushed texture that the previous model had, though I wish it were bead blasted, as the top and bottom are. The C101 isn't a unibody, the deck and base are separate parts. Even so, a nearly-full aluminum and glass build for just $300 is impressive. On that note, the glass covering the Chromebook's display is glossy and low-friction, so if you use it in tablet mode, your fingers should easily slide their way around whatever apps you launch. I am told that it isn't Gorilla Glass, so maybe don't throw it around too much. But it is, at least, nice to tap and drag on. The webcam is at the top center, and it's adequate. 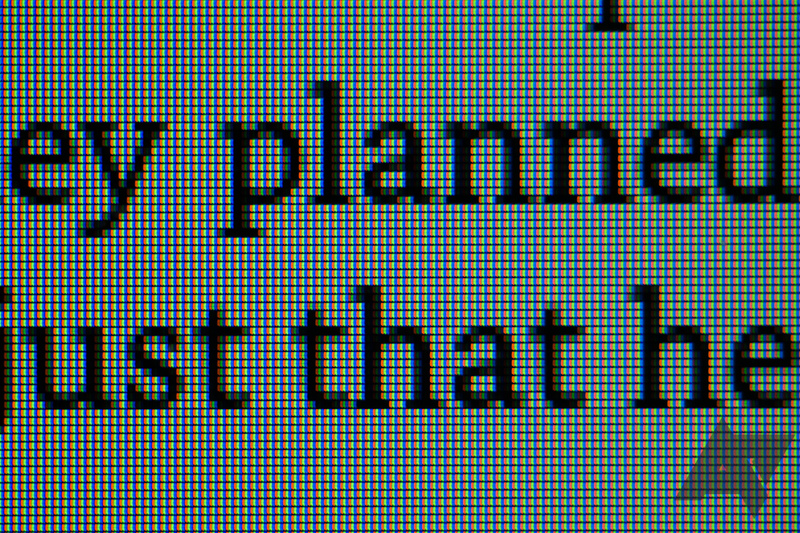 It isn't very sharp, colors are meh, and it gets grainy. But it'll serve if needed, even in low-ish light. The lone mic is at the bottom of the screen, just left of center beneath a very large ASUS logo. I've always found big logos on the front of a phone or tablet to be a bit annoying, and this one is unusually large and shiny. If you're the sort to be bothered by that kind of thing, it'll bother you here. This is going to seem pedantic (and it sort of is), but keyboards are really important, in my opinion. They can make or break your experience with a laptop. And it's worth pointing out that the keyboard on the C101 is smaller than marketing materials imply. The C101 is advertised as having a "97% full-size" keyboard, but that's not quite true. On average, a letter key is 1.7cm in width, but those on the C101 are 1.47cm, making it closer to 85% of a normal key’s size. 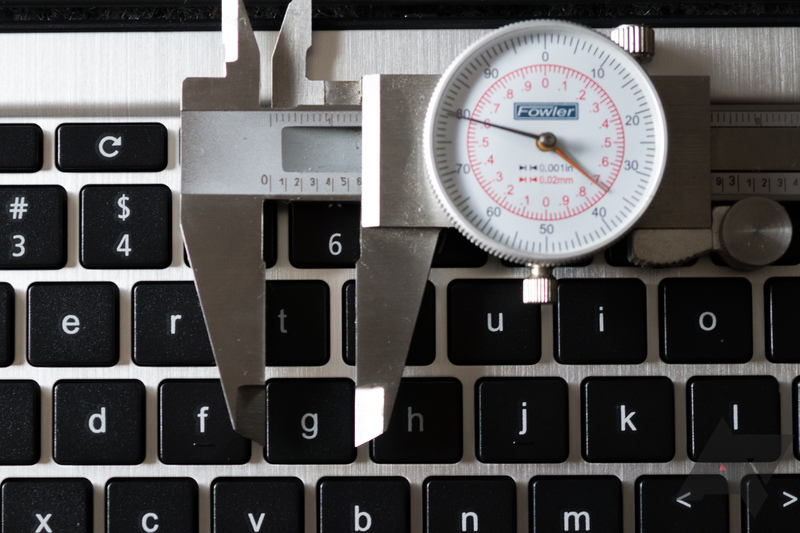 By another metric, the distance from the A key to the semi-colon key (measured from the outside of each) is 17.15cm, where a typical keyboard is closer to 19cm. 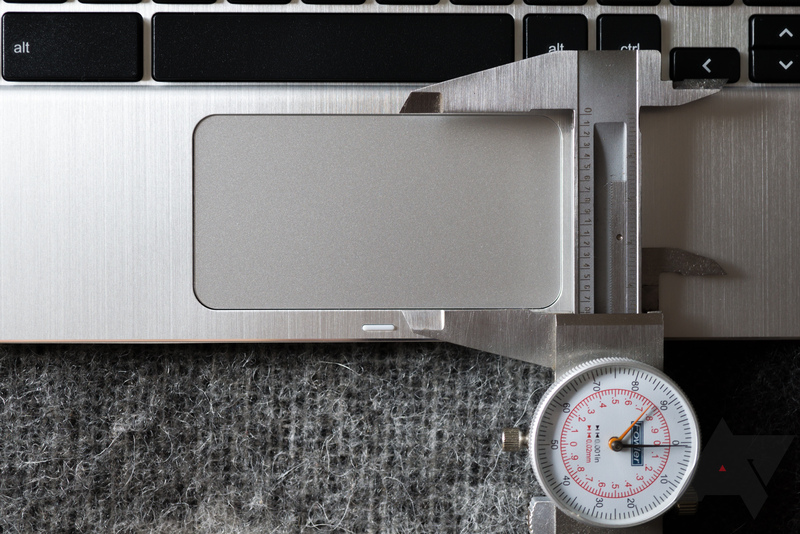 By that measurement, the C101 is 90% the size of a normal keyboard. Either way, what you are getting is not "97% full-size." 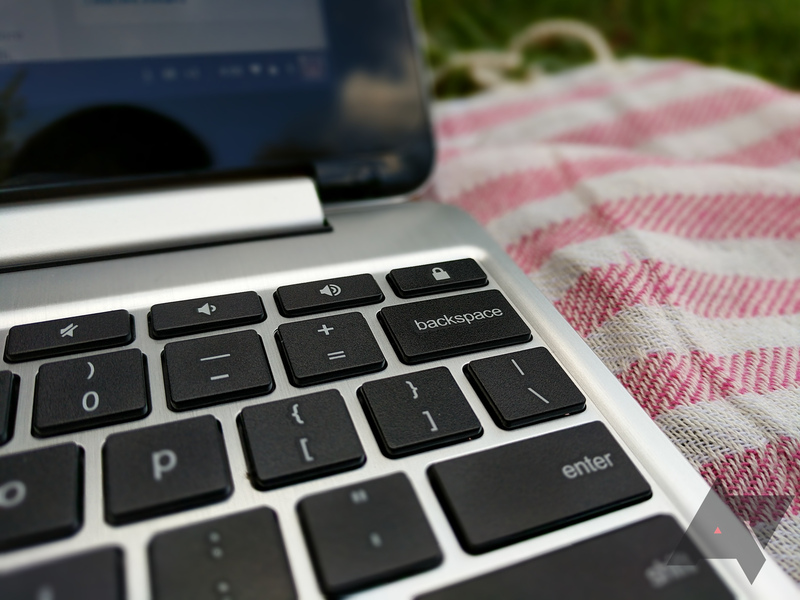 However, if you can get used to the slightly smaller keys, the C101 has an excellent keyboard for a Chromebook, and it's very enjoyable to use. Compared to something like the Samsung Chromebook Plus, the keys travel much further and with much better tactile feedback. On my old C100, I’ve written tens of thousands of words over the course of ownership. In that time the smaller keyboard hasn’t bothered me too much, but YMMV. I was able to pull around 90WPM in an online typing test on the C101, down from ~110WPM on my MX Clears at home. The only thing about the keyboard I genuinely dislike is the placement of the "lock" button just above the backspace key. Since the keyboard is a bit smaller, I frequently overshoot when trying to hit backspace. I'm just glad that you have to actually hold the button down for a while for it to do anything. 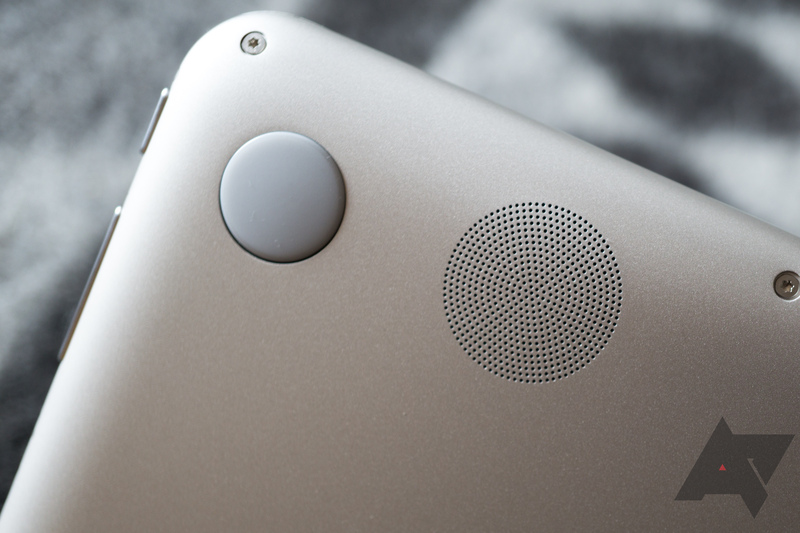 The touchpad on the C101 is almost identical to the one on the older C100, though perhaps a bit stiffer. That could merely be a result of how much I've used my C100, though. It seems to be plastic, but if it's anything like the one on the C100, then it is far more resistant to wear than any other plastic touchpad I've used. It's also a bit small, but there isn't a ton of space to work with, so that's forgivable. On the left side of the Chromebook, you have the rocker for volume control and the power button. It makes sense that you'd want controls accessible while the device is in the tablet configuration, but it's still a bit awkward the first few times you use them. Thankfully volume controls are also still on the keyboard. On the right side, you have two USB-C 3.1 ports, a USB-A port, microSD slot, and a combination microphone and headphone jack. Macbooks everywhere cry out in envy. The C101 also charges over USB-C, which is fantastic. I wasn't the biggest fan of the proprietary charger on the C100 since it meant yet another charger to pack around. Now my Chromebook and phone can both use the same charger, which is tremendously convenient. Even better, I was also able to take advantage of the C101 as an impromptu battery. 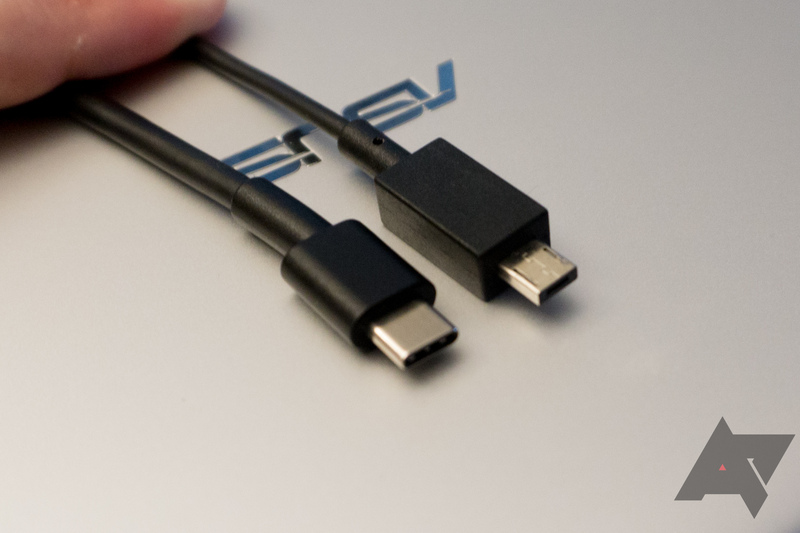 My Pixel XL had no problem pulling a charge over USB-C from the Chromebook. The charging rate wasn't the fastest, usually between 100mA and 1,000mA (according to the notoriously finicky Ampere), but it's still a really nice option to have. Lastly, you have the speakers, which are bottom-firing and next to each of the two front feet. In use, they're nothing special. They'll beep, they'll boop, they'll make noise. Just don't expect the speakers to sound great, they're tinny and not very loud. 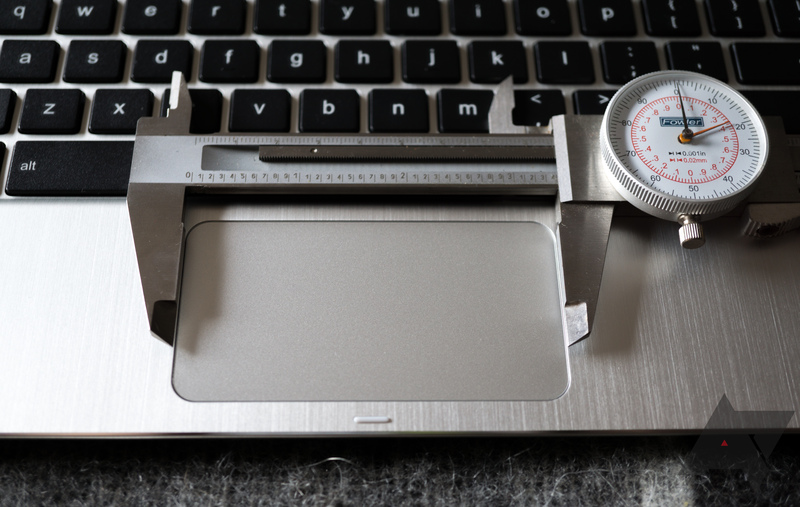 But this is a 0.6" thick laptop, so you can't expect much. If it bothers you, Bluetooth speakers are a dime a dozen. 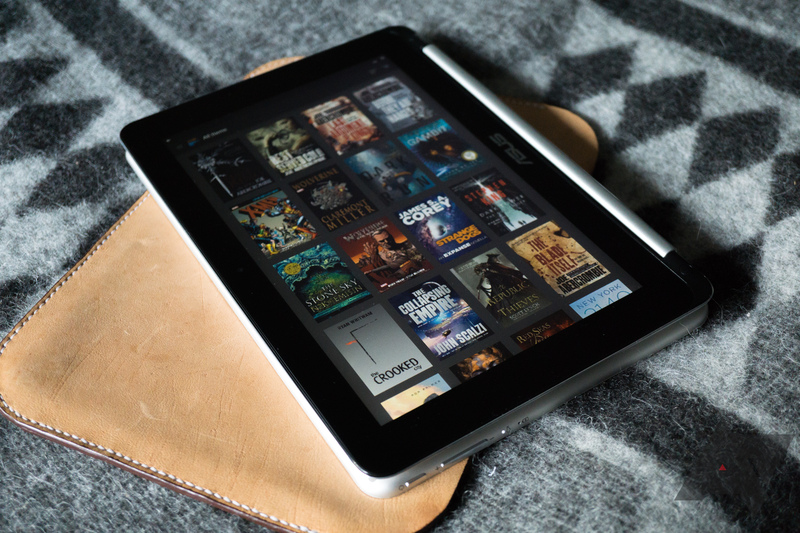 The C101 serves double-duty as a tablet. And, on a tablet, the display is one of the single most important features. 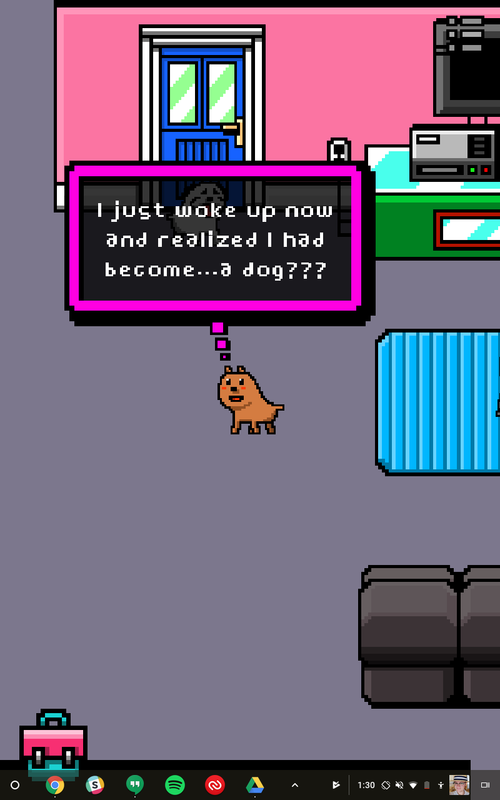 Unfortunately, if I could change one thing about the C101, this would be it. The display isn't terrible by any means. It has excellent (if just slightly oversaturated) color and it’s bright enough to use outdoors if you want. Although it is glossy, it didn't reflect too much light. You'll probably still want to stick to the shade, though. There’s no auto-brightness, but that’s not a huge surprise. The touchscreen input isn't as sensitive as it could be. I had plenty of missed touches during the course of use. The bezels are a bit big, even for a tablet. Since it's also a laptop and it has to make room for a keyboard, the extra bezel space is an unfortunate necessity. And, if those were the only drawbacks, I'd have no problem with this device at all. But, at 1280x800, the resolution is substandard for a 10" tablet. If it were purely a laptop, then the screen would be just barely tolerable. For single-window basic tasks like content/media consumption and quick bouts of writing, 1280x800 is just enough. Even then, you'd probably still want more in a laptop. 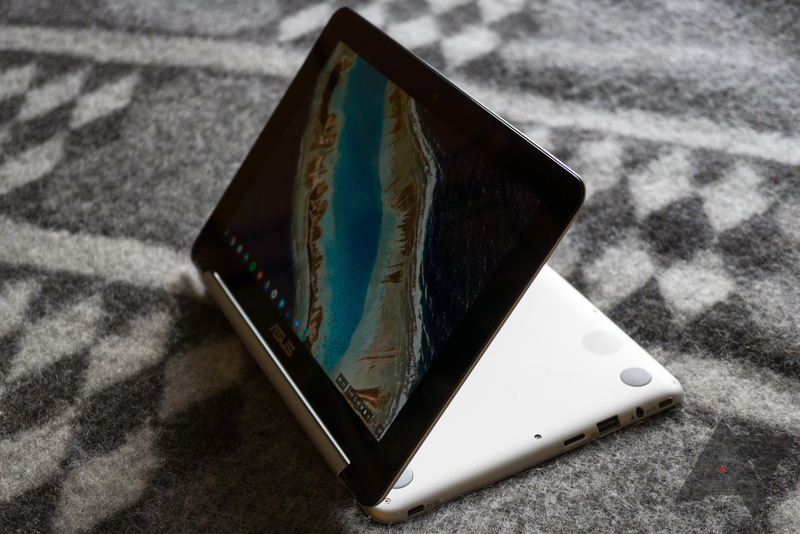 But this Chromebook, by its very design, is also meant to function as a tablet. And at 150 PPI, the visual experience is a bit compromised. That density is even worse than the thoroughly mediocre Kindle Fire 7. 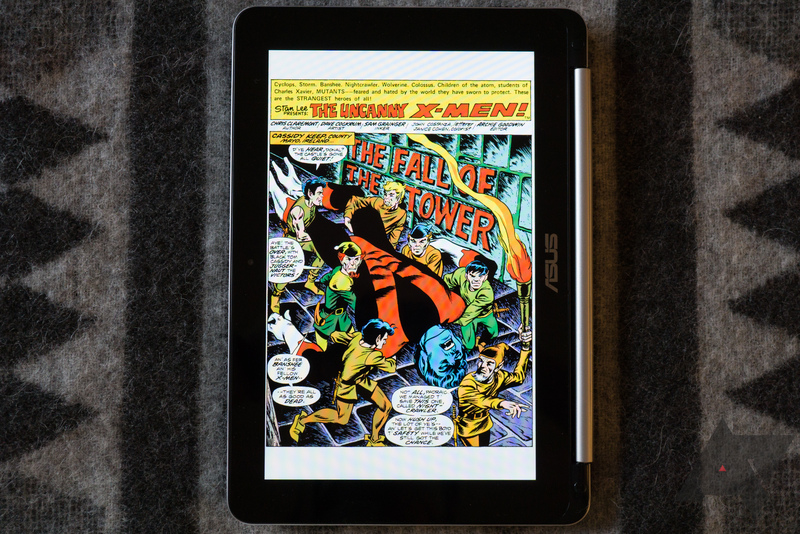 It makes reading text an unpleasant experience, and on plenty of 10" tablets, you can enjoy content in so-called "full-HD" 1080p+. I’d really rather see something a bit over 200 PPI if it's meant to be used in a tablet form-factor. If this were a $299 tablet, the display wouldn't be forgivable. But since this is a convertible laptop with a decent keyboard and high-grade performance, it's a bit easier to swallow. The screen is usable, but it's not the best part of the experience when it comes to the C101. This is where the C101 really shines. The older C100 was quite underpowered and regularly stuttered on even a light load. In normal use, the C101 is significantly faster than the old C100. It feels like much more than just the minor upgrade the single increment from 0 to 1 would imply. For some perspective, the new OP1 SoC in the C101 is the same one that’s in the $450 Samsung Chromebook Plus. 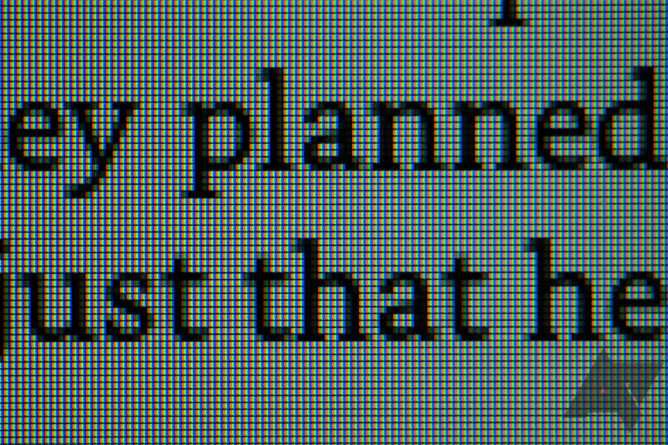 And here it’s driving ¼ as many pixels. For a quick comparison, we've run the new Speedometer test on the handful of Chromebooks us AP authors keep around the place. 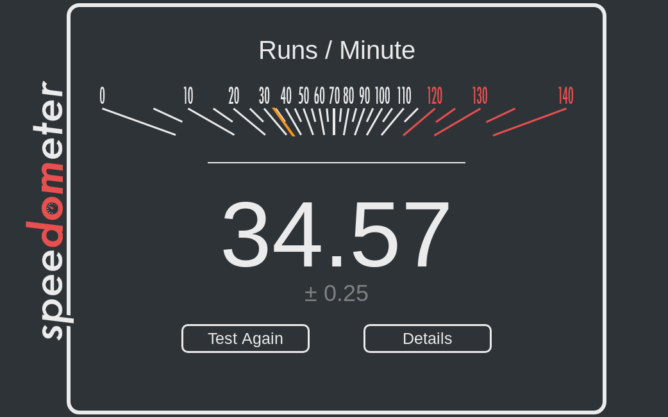 Single-number metrics aren't everything. A lot of other details matter, not just when it comes to performance. 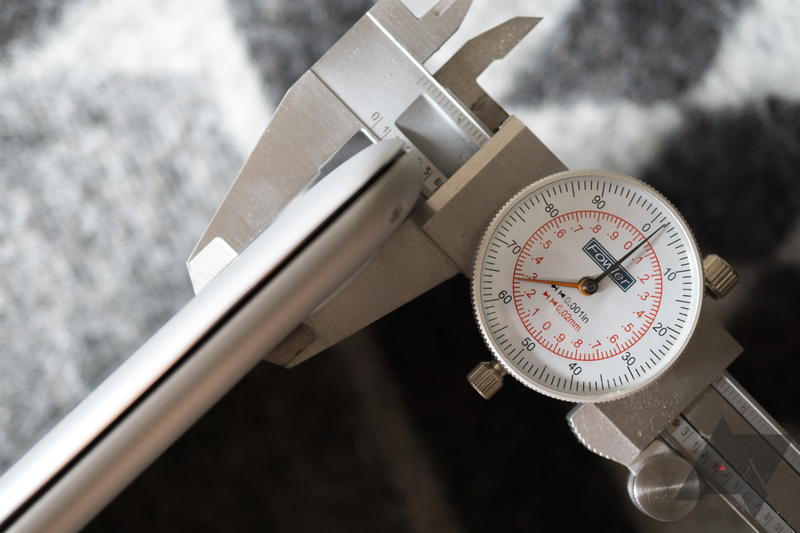 Nonetheless, it might give you a ballpark idea of how it performs, compared to a known device. While the old C100 would struggle with my typical workload, I had to push the C101 quite a bit harder to get it to hiccup. For whatever reason, ChromeOS seems to handle better with limited memory than Chrome does in other operating systems, so 4GB of RAM was really no problem on the C101. 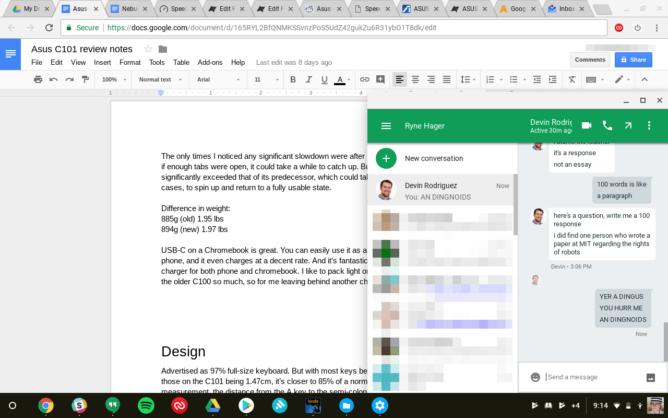 I typed a draft of this article in Google Docs with around a dozen tabs open (including the performance-killing Inbox), two Android apps, and the Hangouts extension for Chrome, and the C101 only just started to show any strain. The same workload would have rendered my C100 a slideshow. I did notice that the C101 got a good deal warmer than the C100 in normal use. With a bit over a dozen tabs open, while writing this review, the bottom right side hit about 97° F (36.1° C). That’s not hot enough to hurt anything, but it is noticeable. During benchmarks, it hit 103° F (39.4° C). My C100, in comparison, never got palpably warm at all. Whatever I tossed at the C101, it handled it easily. All of my Android apps performed flawlessly, even mobile games worked great. Dropped frames, in both apps and sites, were few and far between. Suffice it to say, the C101 is an all-around decent performer. It won't beat a high-end Intel CPU, but it will beat the renamed Atoms they're tossing in low-end Chromebooks. Battery life seemed to be a bit better than the C100. At full brightness with a reasonable workload (writing, a dozen or so tabs open) I was able to pull 6/7 hours of use. That's a decent number for any laptop, especially for one of this size. Under most circumstances, the C101 should last all day, and I wouldn't be surprised if it could exceed ASUS' advertised 9-hour time in light loads at low brightness. Chrome OS is still Chrome OS. Outside introducing compatibility with Android apps, it hasn’t changed a whole lot when it comes to basic functionality in recent years. If you like it, you’ll like it here. If you don’t, then you won’t. Personally, I think Chrome OS comes close to being an ideal laptop environment for some internet-centric workflows, as well as for most general purpose users, but YMMV. It does have gaps in features, though apps are quickly filling them. Even so, it’s a polarizing bit of software, and it’s utility to you highly depends on your workflow. Working at AP means I use a lot of Google’s services, and almost all of those can be used in Chrome. 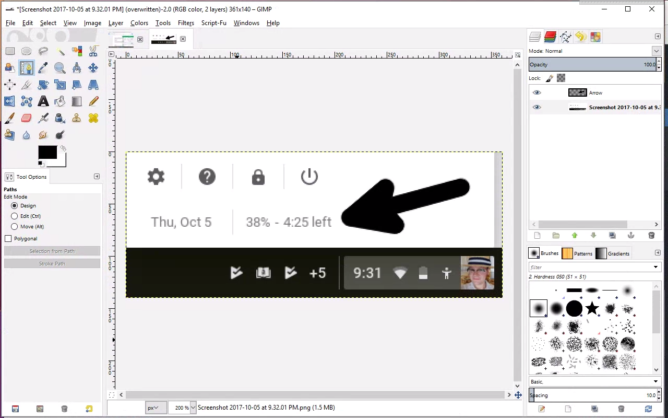 With the recent Android app support, even basic image editing is possible. And anything that I can’t do on a Chromebook can readily be done in a remote connection to my home computer — as long as I’m willing to accept a bit of lag. Suffice it to say, I can do almost all the work I need to from a Chromebook, even if I occasionally have to work around it instead of with it. But Chrome OS is only half the picture. 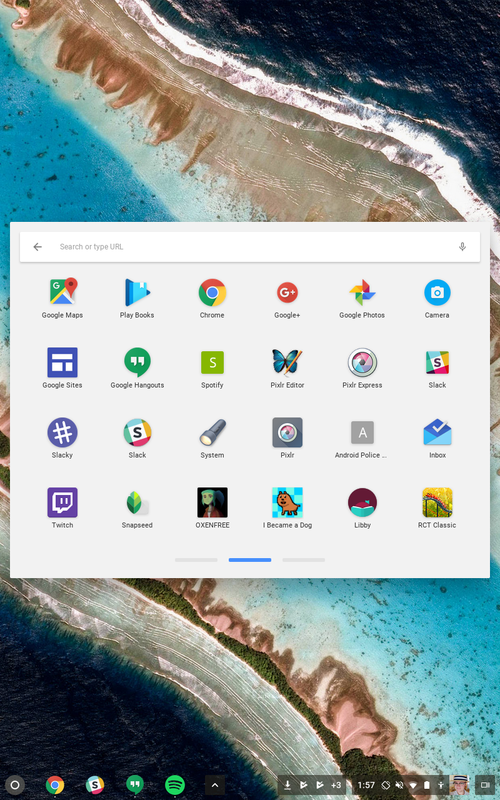 The future of Chromebooks rests with Android apps. 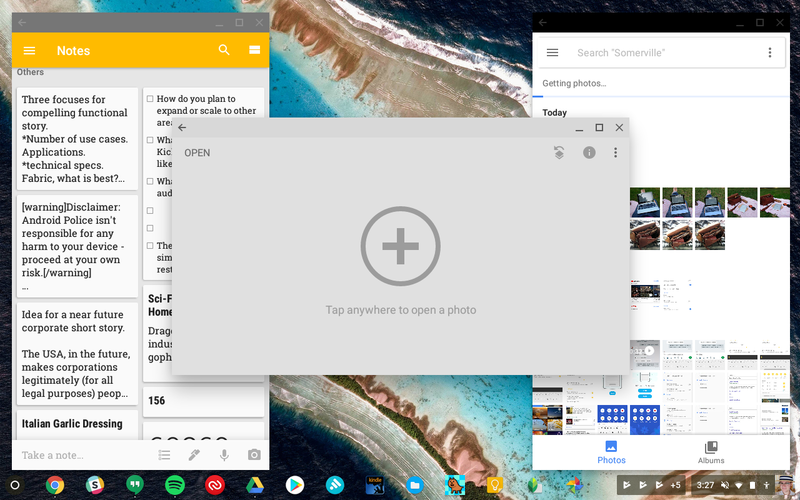 There are a few apps that don’t play nice with Chrome OS quite yet. But by and large, most of them work fine. You may occasionally run into some strange behavior, though, especially when it comes to app layout. 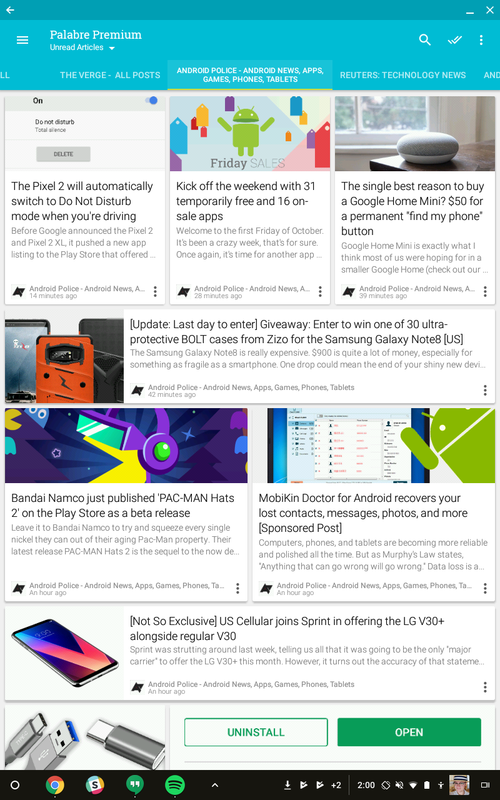 Without the normal Android-style back, home, or multitasking buttons, things can also get a bit confusing. The short version is that you'll get a pseudo-title bar for each app, which bridges the gap between Android apps and Chrome OS. 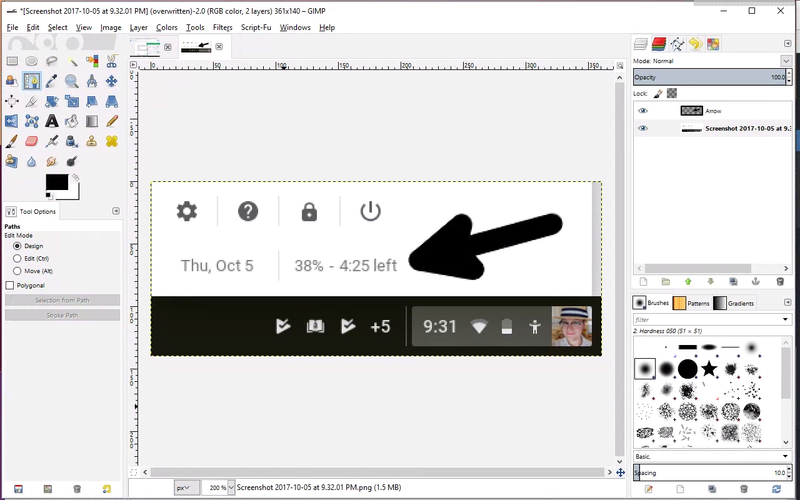 Top left is a software back button, and on the right, you have your standard window control (minimize, maximize, close). That disappears in full-screen mode, which can be annoying. 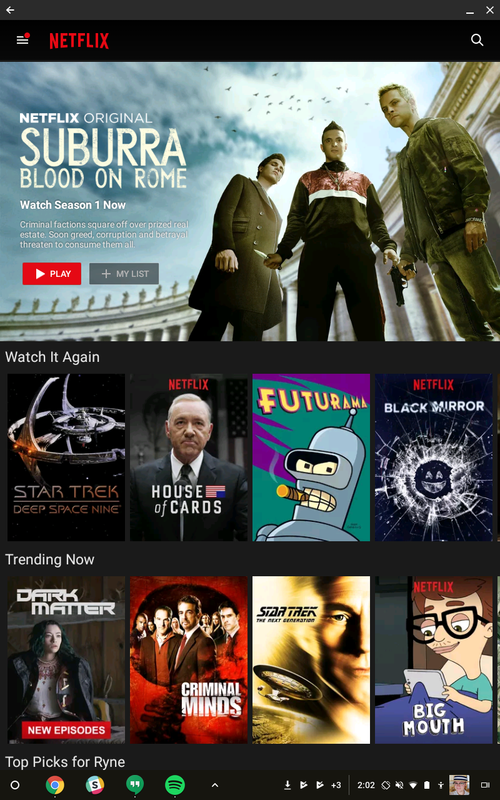 Some apps are resizable, some are stuck in full-screen. 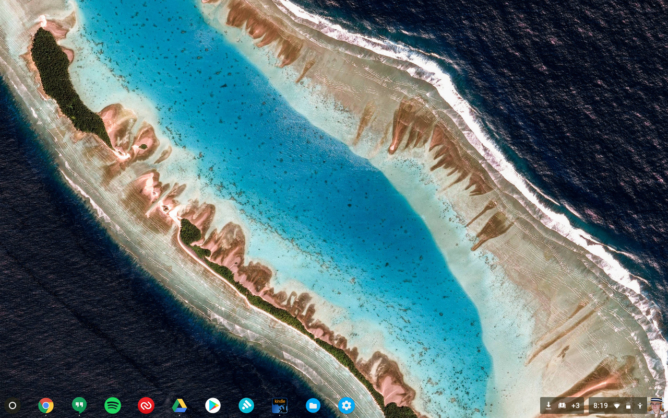 Multitasking is handled via the Chrome OS taskbar, treating apps as any other window in Chrome OS. 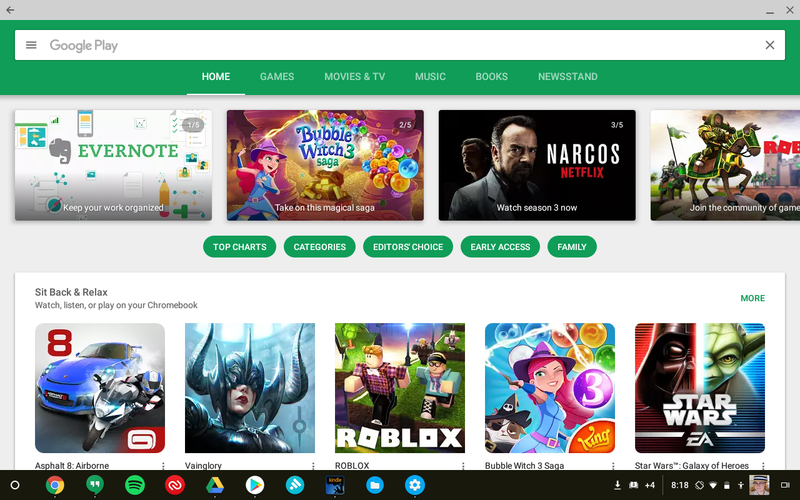 And, some apps haven't been correctly configured to work with Chrome OS yet, though a lot of the apps you use probably won't need any significant changes. All this means that Android apps aren't quite as easy to use as they are on a legitimate tablet. 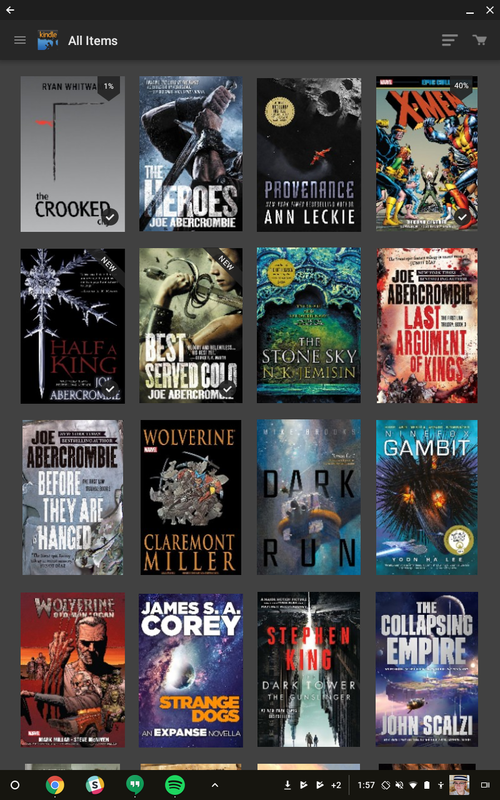 For example, Amazon's Kindle app occasionally renders some content just below where the screen "ends," unless you run the app in an expanded full-screen mode. The most important problem you're liable to run into when it comes to Android apps on the C101 is a lack of space. 16GB of storage really isn't a whole lot for something meant to work as a tablet, and you can burn through it with just a few bigger apps. For the price, I'd really rather have seen 32GB of storage in the C101. 16GB requires a bit too much micromanaging to keep from running low. 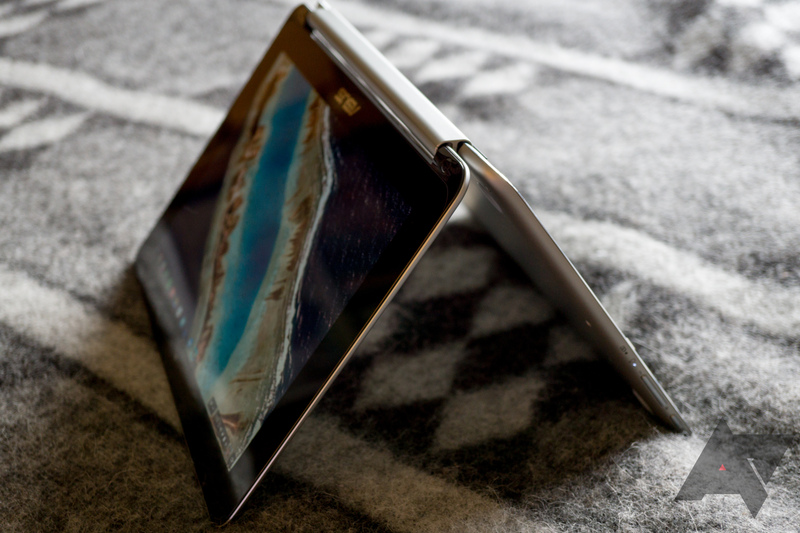 The latest incarnation of the 10" Chromebook Flip isn't without its problems. The resolution of the screen doesn't lend itself well to tablet use, and it's a bit short on storage for Android apps. In fact, with a better screen, I'd probably have given it our "Most Wanted" accolade. Even so, it's a joy to use in both laptop and tablet modes. 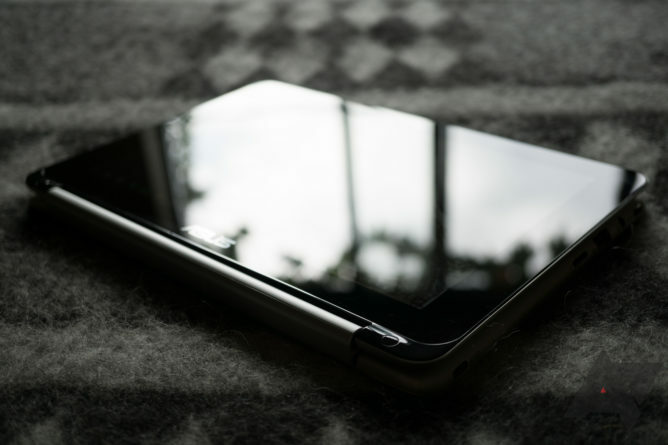 Honestly, it's hard to recommend an Android tablet at all these days. 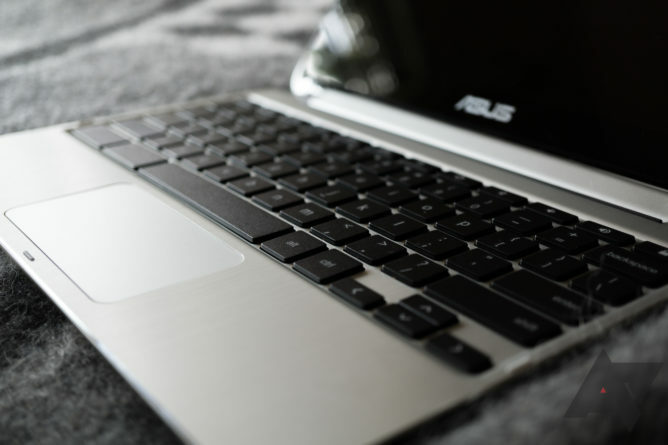 But, with the sorry state of that particular market, ASUS' C101 is still probably one of the better choices out there, especially if you were already considering something with a detachable keyboard. 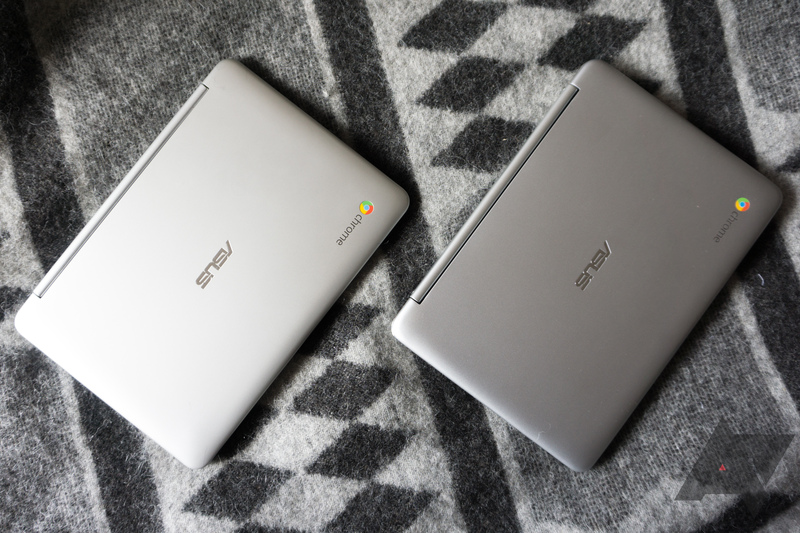 And if you're looking for a 10" Chromebook, the C101 is the device to beat, period. 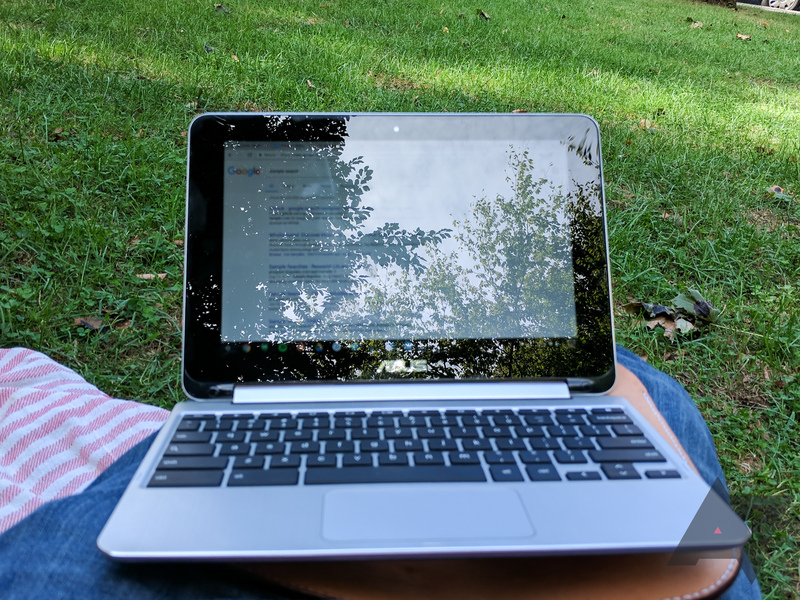 Even if the touchscreen and Android apps don't interest you, the performance and build quality of this latest Chromebook Flip tops the entire sub-12" category. Without stepping up to something larger, like the Samsung Chromebook Plus/Pro or Google's latest Pixelbook, you can't really beat the C101.